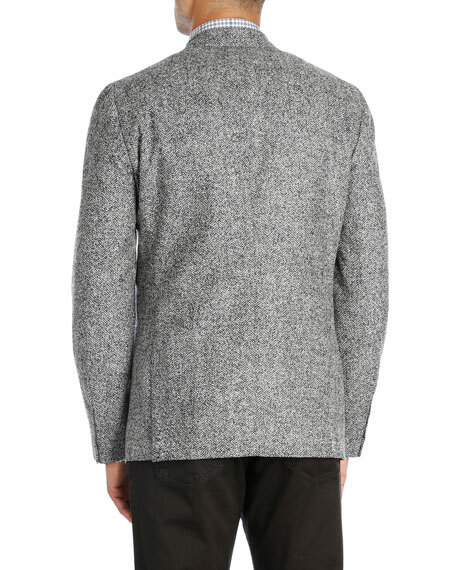 Isaia sport coat in marled herringbone. Welted barchetta pocket at chest. Founded in 1957, Isaia's roots lie in a Neapolitan sartorial tradition. 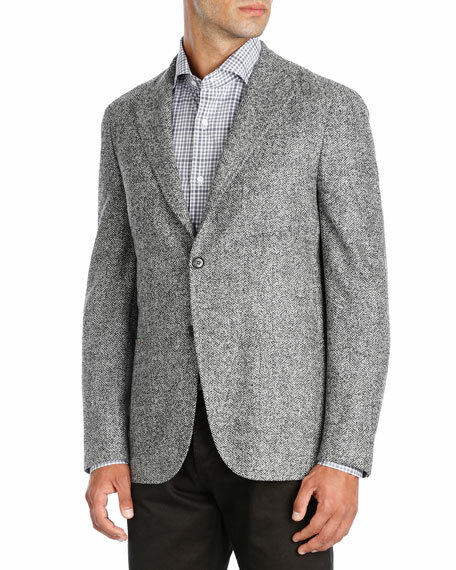 Isaia is about the ability to re-interpret heritage elements and make them relevant for modern sensibilities. Isaia's menswear represents the "new gentleman"  dynamic, successful, elegant, and sophisticated. For in-store inquiries, use sku #2260377.